Later, his father smuggled him into the 1972 French Gran Prix, where he’d been ordered to help maintain the telephone network. 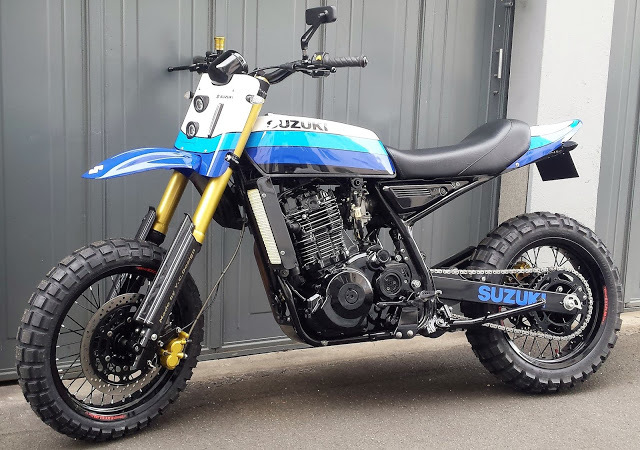 Two years later, young Yves fully contracted the motorcycling virus when he learned to ride a Suzuki GT125 two-stroke. 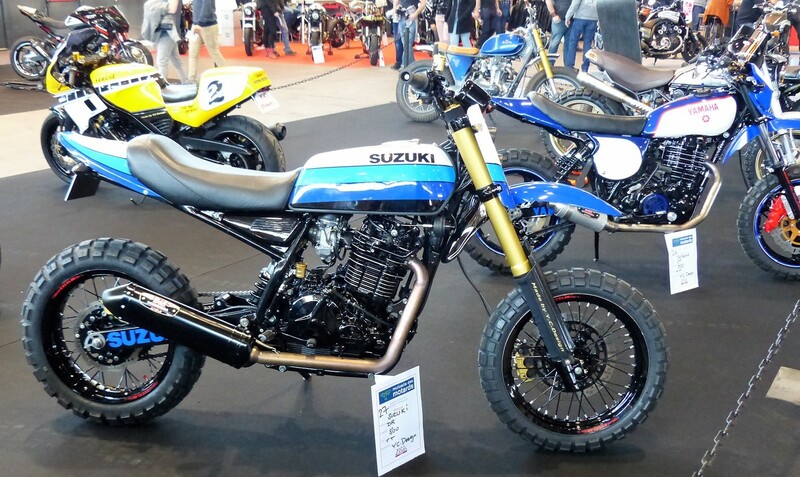 In the years to come, he would follow the siren song of the “Continental Circus” of European GP racing, customizing a 125 Suzuki in the team Suzuki Texaco Heron livery of Barry Sheene, before discovering the world of enduro. 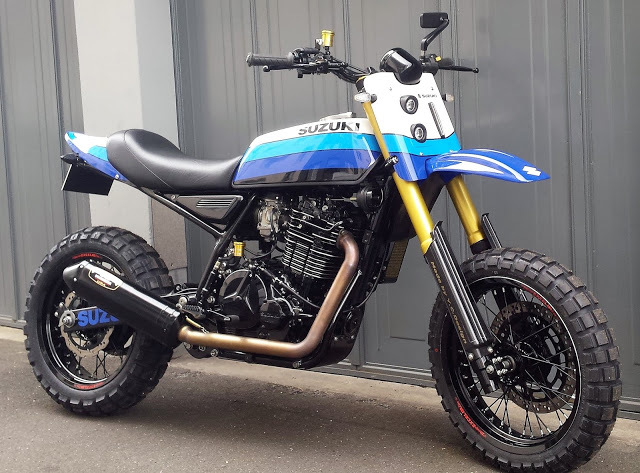 A firefighter by trade, Yves would serve with the elite BRPP (Paris Fire Brigade) and later the Firemen de Clermont in his home region of Auvergne, all while customizing a wide stable of bikes: Suzuki GT380, Honda CB550, Honda GL1100 Goldwing, and a 570cc Yamaha XT500 built for “madness” — which appeared in a 1984 French motorcycle magazine. 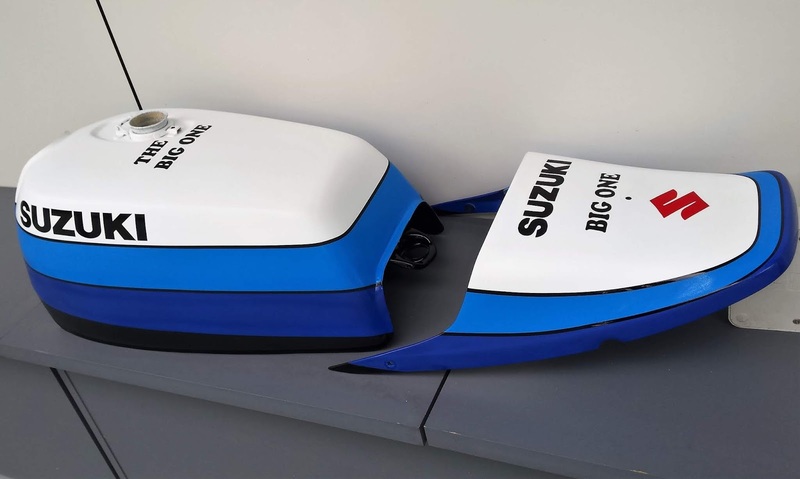 In the mid-1980s, the big Japanese four-strokes piloted by such legends as Eddy Lawson, Wes Cooley, and Freddie Spencer in AMA Superbike would inspire him to build a Suzuki GS1000S. 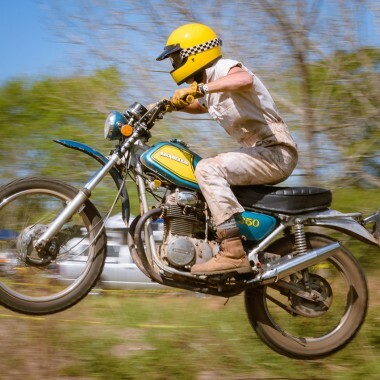 He would spend much of the next decade competing in enduro racing on big-block thumpers he’d customized, and he never missed attending the legendary Gilles Lalay Classic, the world’s original — and some say most difficult — hard enduro event. He would spend more than a decade customizing the V-Max through many iterations and evolutions. 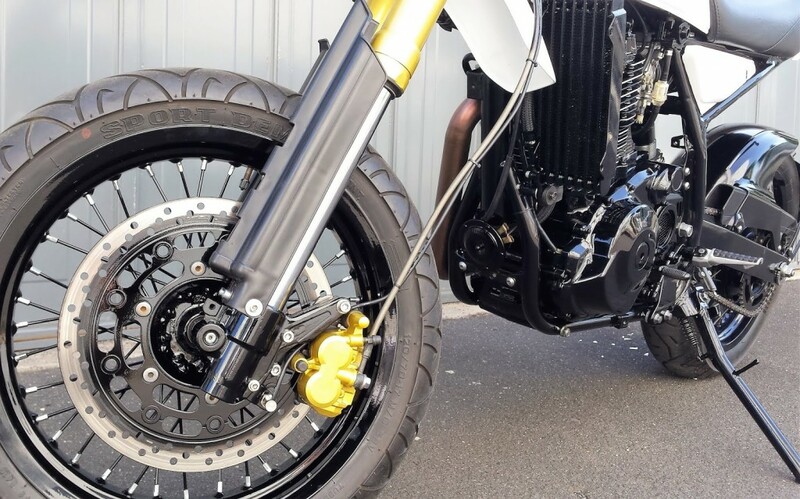 In the last decade, however, Yves has expanded his horizons again, building a wide variety of bikes in various styles. 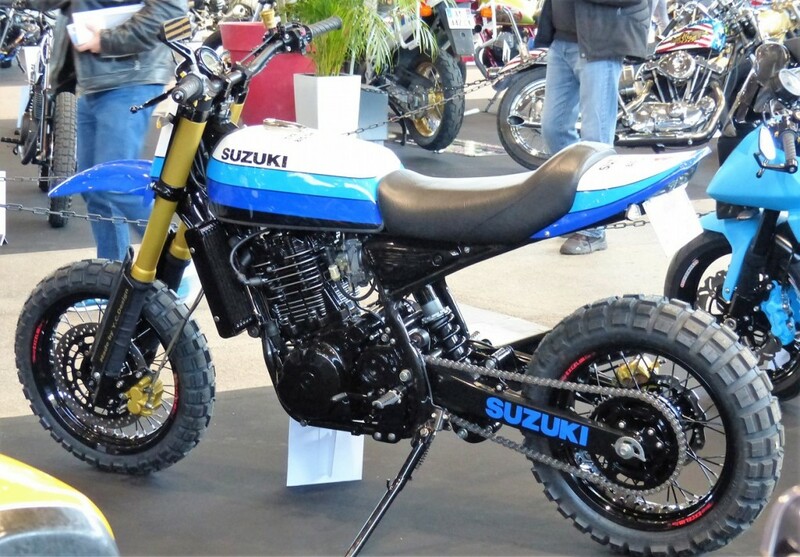 Today, we’re thrilled to feature his 1993 Suzuki DR Big scrambler. 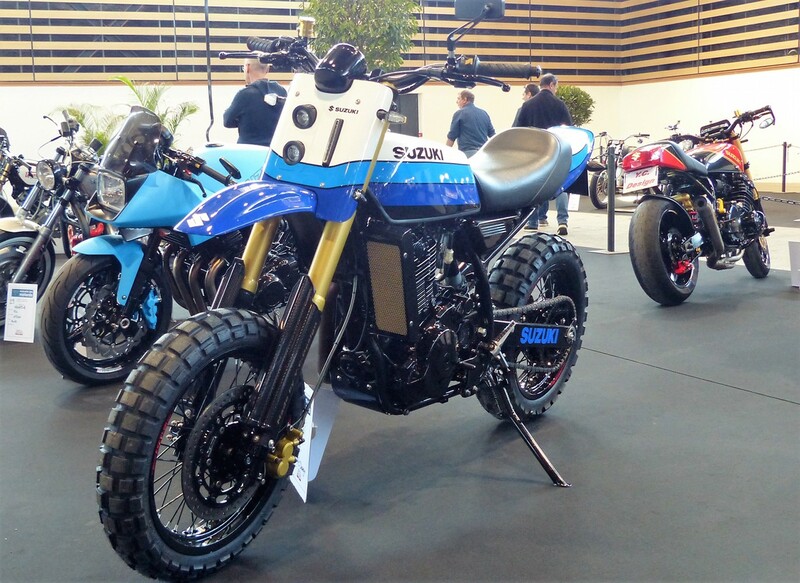 In the spring 2017, I bought this DR 800 outside Aix en Provence. 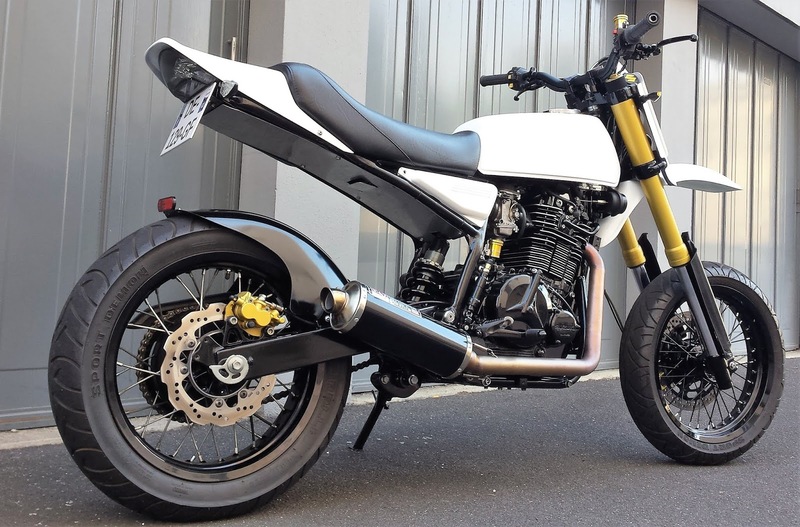 It was a second hand 1993 model, set up for supermoto with an inverted fork from a Kawasaki KLX650, Suzuki 600 Bandit rims, a 320 mm floating disc pinched by Tokico four-piston calipers, a stainless steel Lazer silencer, and a rectangular mob headlight. No odometer, so no idea of ​​its exact mileage — probably about 40,000 km. On the good side, everything worked: starter, clutch, gearbox, RAS. On the other hand, the valves clicked and the bike pissed the fuel from the carb. After a quarter of an hour of discussions on the selling price, we concluded on a price and I left the world’s biggest mono. 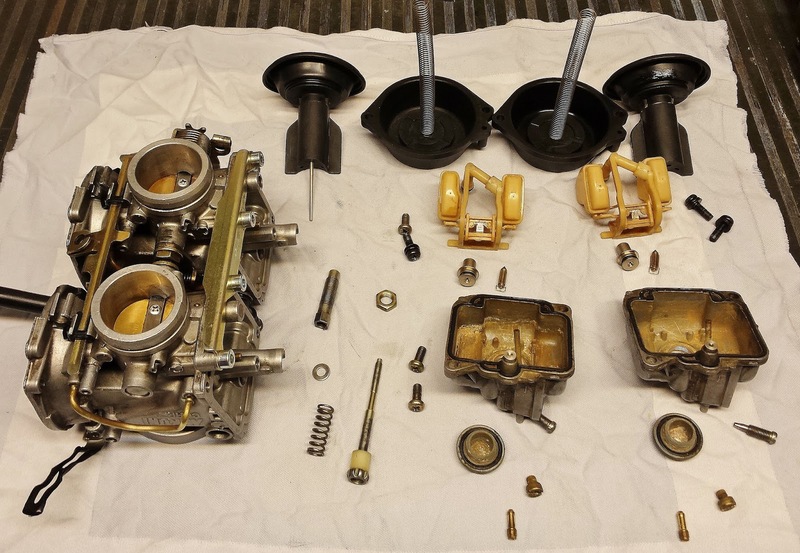 First, I removed the carburetor for meticulous cleaning and rebuilding. I went back to the original settings (needed) and installed the carb repair kit. The fuel leak came from the brass exterior duct, which was broken flush with the carburetor body. This conduit comes from the tank and feeds the starter. After extracting the small piece of broken brass in the aluminum, I seal the pipe with aluminum epoxy resin. This should hold. Reassembly and opening of the petcock: no leak — well played, Bobby. From there, I can adjust the valves. Ho, the bastards! Did it click! I find almost 2mm of lash in the exhaust and 1.5 mm on intake, when 0.20 and 0.15 is provided by the manufacturer. I adjust them and the engine runs immediately better. I want to remove the air box to replace it with a K&N, but for that I have to make an intermediate “sleeve”. Here is my method: out of wood, I make the entry and exit of the sleeve. I assemble them and I cover them with tape. I then sacrifice a sports sock to wrap the whole thing. I resin the sock and let it dry. The resin does not stick on the tape, I unmold and I get that. Not bad, is it? November, it’s getting cold in my garage, so I put the DR in the basement to continue the work in a warmer environment. 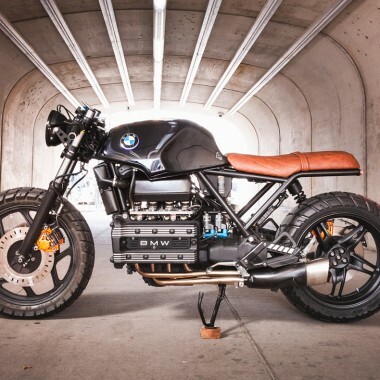 I want to equip the DR with 17-inch spoked wheels. Width: 4.25 with 150 tire for the rear and 3.00 with 120 tire for the front. I buy two sets of new spokes (at Chambrier Père et Fils) and I lace the two rims without any particular problem. I take the opportunity to change the brake discs, rebuild the calipers, and bleed the assembly. 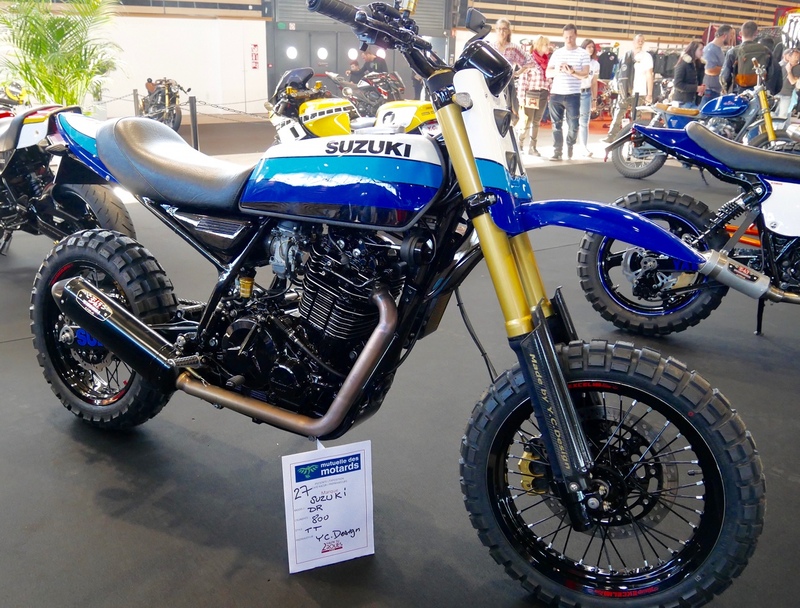 At Motos Pièces Clermontois, I find a Yamaha XS500 tank in good internal condition despite some pocks. The petcock requires a repair kit and the cap works well, it is waterproof. I make and weld the bindings front and rear. 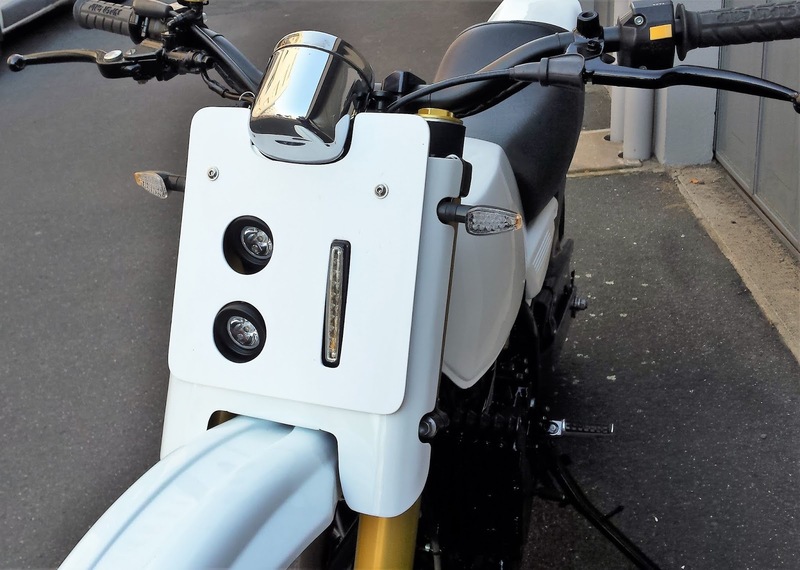 The seat backrest comes from a 1978 Kawasaki KZ650 and the side covers, off a Yamaha Fazer 600. Not knowing the exact mileage and the presence of a very noisy rattling in the high engine rpms encouraged me to open the engine to identify problems and fix them. Camshaft and rockers were out of order. Probably a problem of lubrication. I tidied up engine with new gaskets, valve timing, and adjusting the valve clearance. The distribution chain and guides were within the manufacturer tolerances. For aesthetic concerns, I replaced the taillight with new LEDs. Then I finalized the number plate and front lighting. I modified the optical LEDs in the stacked configuration instead of side-by-side. And finally a daytime LED running light positioned vertically. A white paint stroke and it’s done. Then I turned to the decoration of the body by working on the PC to get some ideas and selected one pattern. Then I attacked the paint/decor myself: I determined the general lines to start masking to paint the blue stripes. Twenty-four hours of drying were required before continuing with dark blue stripes. When the basis of the decor was complete, I protected it with a polyurethane varnish. Finally, I get to the exhaust silencer because the last one installed is still too noisy. 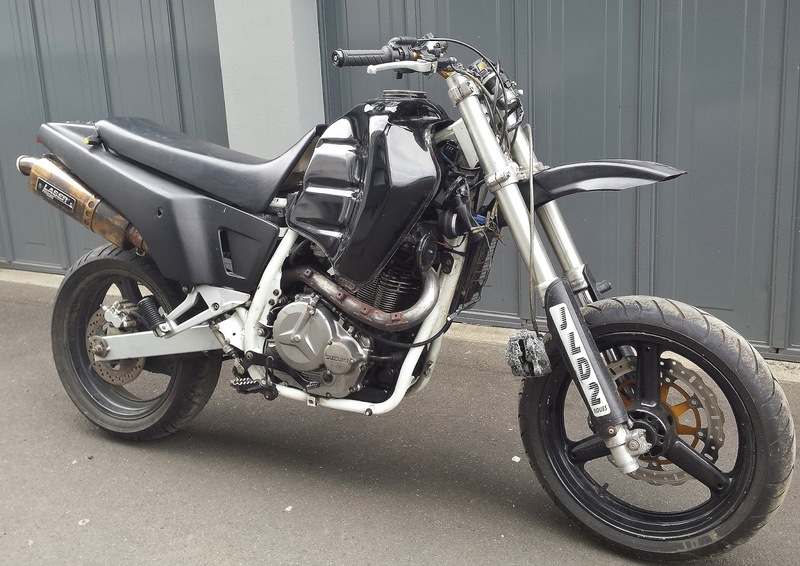 At 800cc, it’s a strong pulse, and it is difficult to release the exhaust without making too much noise. 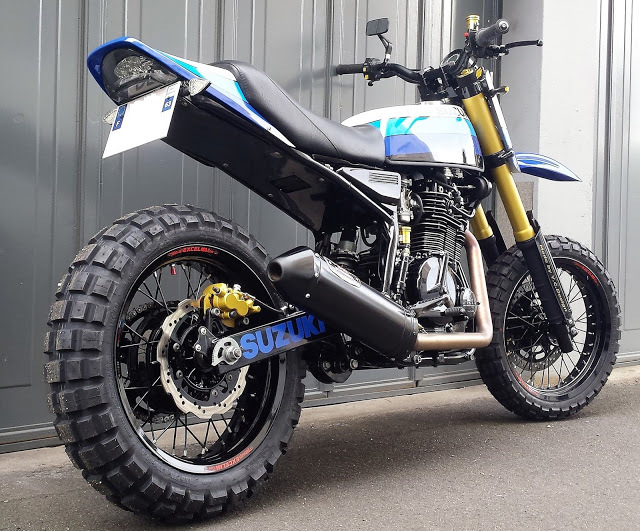 My third attempt is good: I modify a WR450F enduro silencer and I connect it to the stainless steel tubing. A test drive confirms the validity of my amendment. The big mono breathes and is no longer noisy. 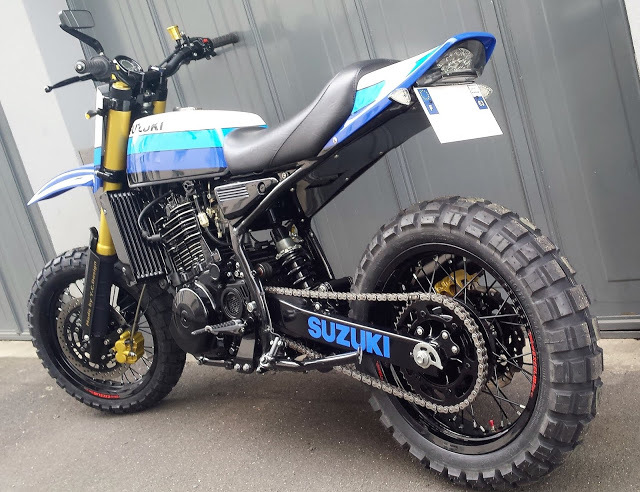 MX5000 2019: Vintage Flat Track & Scrambles! Great ride. 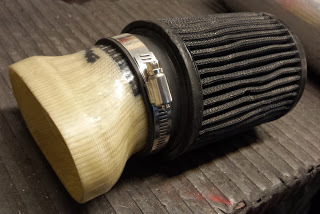 The fabrication of the K&N adapter is stellar! Great home brewed engineering that we can replicate. Wow!!!!! 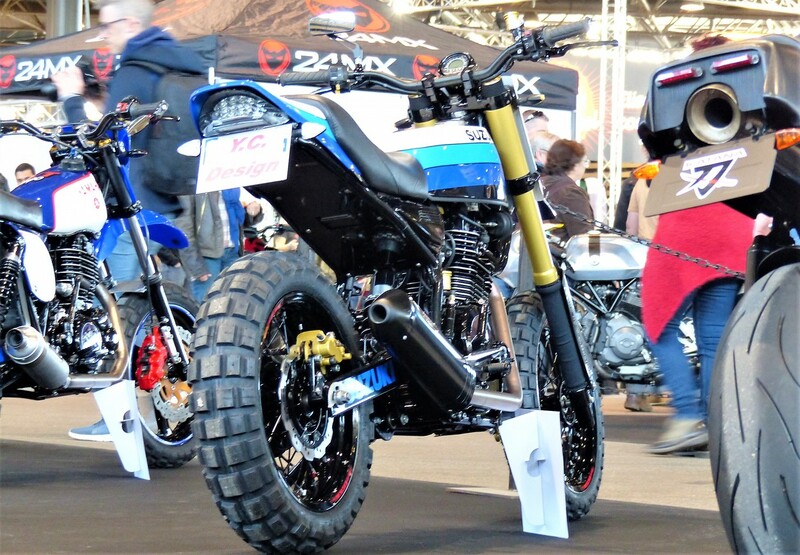 thats ans awsome build,thats a bike I would love to ride & own.